On 22 September Ensemble Perpetuo and Royal Museums Greenwich will be bringing an evening of music and photography to the Dry Berth of Cutty Sark. We spoke to Ensemble Perpetuo’s founder James Turnbull, who shared some of the great reasons not to miss this unique occasion with us. 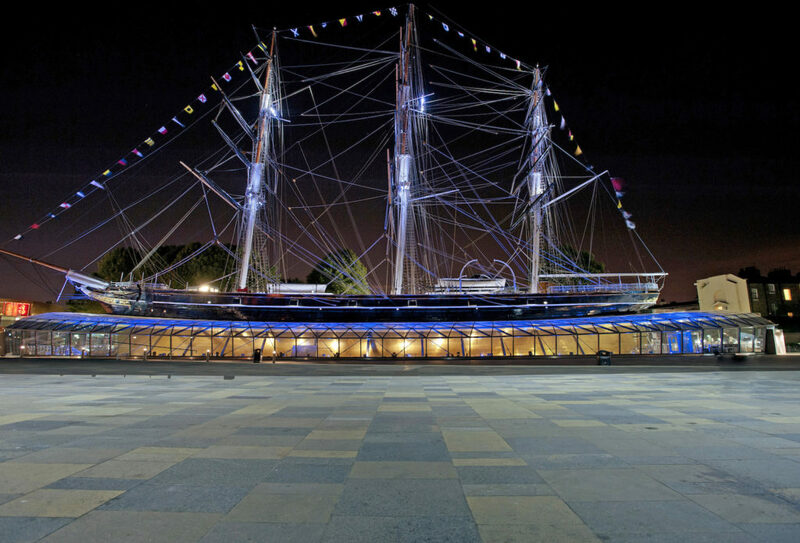 “The event offers a fantastic opportunity to see Cutty Sark after the usual opening hours as doors open at 6:45pm. What awaits is an evening of unforgettable music performed by Ensemble Perpetuo and a special exhibition of photographs curated by the London Photo Festival. Ensemble Perpetuo will be performing an exhilarating and beautiful programme of chamber music inspired by Voyages of the Sea. Whether you are a regular visitor of classical concerts or not, the music featured in this event will take you on a great journey exploring the various stories that have inspired composers. One piece of particular interest is The Upside Down Sailor by Roxanna Panufnik. Written for nine musicians, a conductor and a narrator, the piece explores the real story of the sailor Tony Bullimore who survived five days under the upturned hull of his sailing boat in the Southern Ocean. This has a highly dramatic text written and performed by Sir Richard Stilgoe. Some of you may know him for his incredible charity work, or perhaps for writing the lyrics to Sir Andrew Lloyd Webber’s Starlight Express. Or you may have even seen him on one of the 200 appearances he made on Countdown. His performance is surely something not to be missed! Another incredible piece is our intimate reinvention of Debussy’s memorable La Mer. Back in July, La Mer was featured in the BBC Proms season. As part of the Voyages of the Sea however, the piece will appear with a twist. It has been stunningly arranged for three musicians by the composer Sally Beamish. Join Ensemble Perpetuo underneath Cutty Sark’s gleaming hull for a poetic and musical journey exploring the beauty and unforgiving nature of our seas. Don’t miss out on the event and book your tickets now.